The beautiful city Peter the Great founded in 1703, in what was then swampland, has unbelievably sumptuous Czarist-era palaces (efforts have been underway for years to fix the crumbling ones), onion-domed churches and the lovely Neva River (where twilight cruises are offered). Peter was inspired by London, Paris and Vienna and carefully developed the city by plan, creating canals and passageways that will remind you of Venice. Most of the design remains intact today, testimony to St. Petersburg's pride -- and the inability of Hitler to conquer the city during World War II. It's a fascinating place, with a lurid past that's fit for a romance novel. You could find yourself falling in love. The fact that cruise ships typically spend at least one overnight there allows you to explore the countryside, as well, where past the bland Soviet-style apartment buildings of the suburbs are opulent country palaces -- impressive memorials to the best Czarist money could buy. 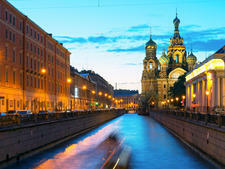 St. Petersburg was the capital of Imperial Russia from 1712 to 1914 and remains Russia's cultural capital. All the big names have been affiliated with St. Petersburg, including Pushkin, Dostoyevsky, Tchaikovsky and Tolstoy. The city itself is like a living museum. You are likely to find yourself oohing and aahing at the architecture from your cab or bus, and art is a key attraction. You've been to the Louvre in Paris; now see the Hermitage in St. Petersburg, home to significant collections of Matisses, Picassos and Rembrandts. And don't miss a chance to see Russian ballet performed live. A visit is not entirely without hassles: The key museums and attractions are not air-conditioned and rarely have special facilities for the disabled. Very few signs are in English, and understanding what you are seeing -- whether it's a street sign, a shop name or a painting description -- can be impossible. And the Hermitage is typically packed to the gills; you may have to do a lot of jostling to see the art highlights if you aren't on a tour that specifically avoids the crowds. A guided tour, whether privately arranged or through your ship's excursion department, will definitely help you get the most out of your two or three days in St. Petersburg. A knowledgeable guide and a small group will help you dodge the tourist hordes and access the history and backstory that make the sights come alive. A visit to Russia is a once in a lifetime experience for many -- and it's worth a splurge or two. St. Petersburg's Marine Facade was built on reclaimed land at the mouth of the Neva River. It's on Vasilyevsky Island, about a 15-minute taxi ride from the city's historic center. Although the port can handle up to seven mega-liners simultaneously, debarkation doesn't seem to be much of a hassle (though that doesn't mean you won't have to wait a bit in lines). Completed in 2011, the four Marine Facade terminals are user-friendly, offering a taxi stand, a tourist info booth, ATMs, vending machines, souvenir shops and a cafe (amenities vary among the terminals). Between 20 and 36 passport booths help speed debarkation (though be prepared for stern and businesslike customs officials and lines, especially on the first day). There's nothing in the area that will entice you to linger. Select smaller vessels get the best spots, sailing up the Neva River and docking in the heart of the city at English Embankment or Lieutenant Schmidt Embankment. There are no tourist services at these piers, but you can easily set out into the city for anything you need. St. Petersburg can be a challenging place to visit. First and foremost, if you're not on a shore excursion through a licensed operator and want to go it on your own, you need a Russian visa, and you have to apply for it in advance of your trip. The cost varies wildly, and can be hundreds of dollars, depending on whether you use regular or express service. Your source for such is the Russian embassy or consulate. Or ask your travel agent or cruise line if they work with a reputable visa service; they charge a fee but save you time. You will, either way, need to submit two passport photos. Or go with a local tour operator -- such as SPB tours, Alla or TJ Travel -- that has special certification to carry passengers without a visa. You'll need to book your tour in advance and show your ship a copy of your confirmed tour receipt before you can debark. 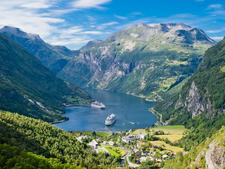 Ship-sponsored tours will also cover your visa needs. Also, don't drink the tap water. Stick to bottled varieties and go easy on ice in your drinks, as well. The water is not up to Western standards and may cause stomach upset. 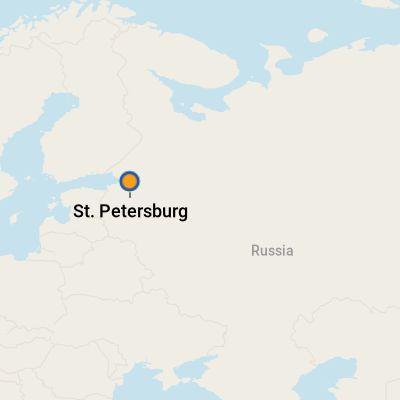 If you go it alone and travel by cab, it's a good idea to have the ship's berth location written down in Russian characters, since your return driver may not speak English. Ship personnel at the pier should be able to help you with that. The major in-town attractions, such as the Hermitage, the Russian Museum and St. Isaac's Cathedral (all highlights), are within a brisk walk of one another. Taxis typically line up outside the big attractions; negotiate the price before getting into the car. 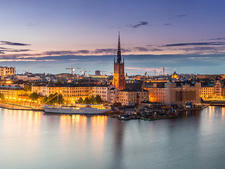 Otherwise, head for one of the five-star hotels (Belmond Grand Hotel Europe, Corinthia Hotel, Radisson Royal Hotel) on Nevsky Prospekt, the city's main boulevard, and hail one there. If you would prefer to rent a car and driver, you can try and negotiate with the on-pier taxi drivers. Cruise lines' shore excursion offices may also offer car-and-driver rentals. Local currency is the ruble. For better prices, get some rubles at an ATM in the cruise terminal or in the city, although many street vendors and shops do take dollars or euros. Otherwise, use a credit card. Just make sure to call your bank and let them know you're traveling in advance; Russia is well-known for scams, and transactions there will be noted. Russian is spoken, and don't expect everyone to know English (except, of course, for your well-versed tour guides, who will be by your side the majority of the time). St. Petersburg's dining scene has experienced a facelift in recent years. While Russian food tends toward simply prepared meat, potatoes and fresh fish, you'll find the quality and cafe atmosphere have improved, especially in the city's historic center. Grab bliny -- pancakes with filling -- for a quick snack, or stop in one of the tempting pastry shops on Nevsky Prospekt for a sweet treat. In a Russian restaurant, you'll see a bewildering array of "salads" on the menu, many containing fish or meat; try the Salad Olivier, a dish similar to American potato salad that holds a special place in Russian hearts. For something different, try Georgian cuisine, what the Russians consider their "southern" food for its regional flavor. Russians are also fond of soup; if your tour included lunch, you'll nearly always find it served as your first course. If you want to do some shopping, pick up quality souvenirs at the Hermitage or cheap trinkets -- including nesting dolls (in all themes, from traditional to U.S. football team designs), other craft items and Communist-era pins -- from street vendors or at any market. (Be aware some products might be fakes.) Lacquer boxes, amber jewelry, porcelain and icons are other traditional souvenirs.